The Superpodcast is back this week with a special episode, as The Great Brian Last and co-host Tom Robinson are both under the weather. 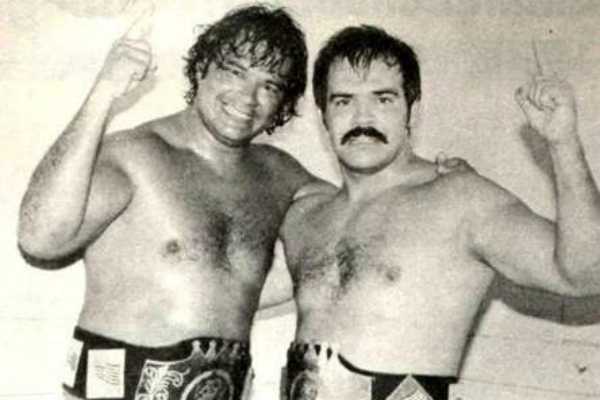 This shorter than usual episode features a couple of looks at the life and career of Chavo Guerrero. – Jeff Walton, the longtime Los Angeles / LeBell wrestling promotion publicist and announcer, joins the show to discuss Chavo’s place in Los Angeles wrestling history. In telling the story of Chavo in LA, Jeff gives a history of that office throughout the 1970’s and into it’s end in the early 1980’s. Jeff talks about bookers Louis Tillet and Leo Garibaldi, the emergence of Roddy Piper, how the LA promotion lost it’s english speaking television and ended up on the Spanish International Network and more! Jeff also discusses the end of Mike LeBell’s promotion and Vince McMahon’s arrival in Los Angeles in 1983. A really fascinating look at one of wrestling’s legendary cities! – Dr. Tom Prichard joins the show again this week to share his memories of Chavo. Tom watched Chavo while he was growing up in Houston, was booked by Chavo in Los Angeles and was Chavo’s “rookie” in Texas. Tom tells some great stories and sheds some light on what Chavo was like to work for and with. Tom shares interesting stories about Chavo’s relationship with Bill Watts, the Paul Boesch retirement show in 1987, his last time running into Chavo and more!